The Babacar Ndiaye Trophy was launched in 2016 in honor of the 5th elected President of the African Development Bank, Babacar Ndiaye (1985-1995). 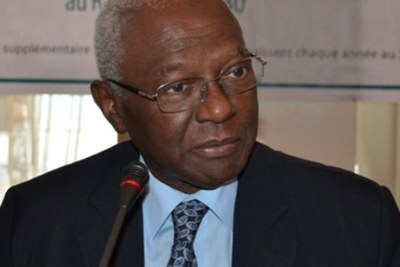 The Babacar Ndiaye trophy honors a Head of State whose country's road and transport policy is judged to be exemplary. The 2018 trophy was awarded to the Kenyan Head of State, Uhuru Kenyatta, during the 2018 annual meetings of the African Development Bank held in Busan, Korea. More about AfDB in this BRIEFING. 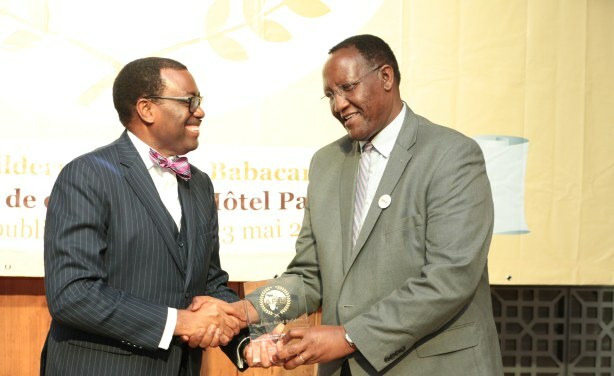 The 2018 Babacar Ndiaye Trophy presented by the President of the African Development Bank, Akinwumi Adesina, to Jackson Kinyanjui, Director of the Kenyan Treasury, representing the Kenyan Head of State, Uhuru Kenyatta.